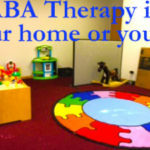 What started out a blank canvas of 2,500 square feet is now a vibrant and lively center-based ABA therapy space — and what our team has been able to accomplish in just 128 days is nothing short of incredible! Have you ever come across an example of a behavior-change principle while watching one of your favorite movies or TV shows? Hollywood doesn’t often get it right, but these video clips can be useful to demonstrate or promote discussions about behavioral principles and strategies. 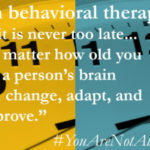 Board Certified Behavioral Analysts, the quarterbacks of our clinical teams, have told me that it is never too late to receive Applied Behavioral Analysis (ABA), or behavioral therapy. No matter how old you are a person’s brain can change, adapt, and improve.